10 supplement you can take to perform better during training. Hi fitfam, these are the 10 supplement that i find really useful and help me during my training! But of course, training and dieting will still be the foundation of getting a good body. If your training and diet sucked, no matter how much supplement it is not gonna help much. Wanna know what training i do read this. My Diet can check it out here! 1. Caffeinated drinks Pre Workout Supplement! Caffeine rises your cortisol level and it increases your adrenaline, in this way you will be able to recruit more muscle fiber during workout, therefore able to lift heavier! 2. Branch chain amino acid. By taking this 15 min before and during training can help to improve recovery during training. BCAA is the only anti-catabolic and anabolic amino acid available, by taking it during training not only helps to improves recovery and prevent muscle from breaking down, it is also shown that after training people who takes BCAA recover faster. 15 to 20grams per training is recommended. 3. 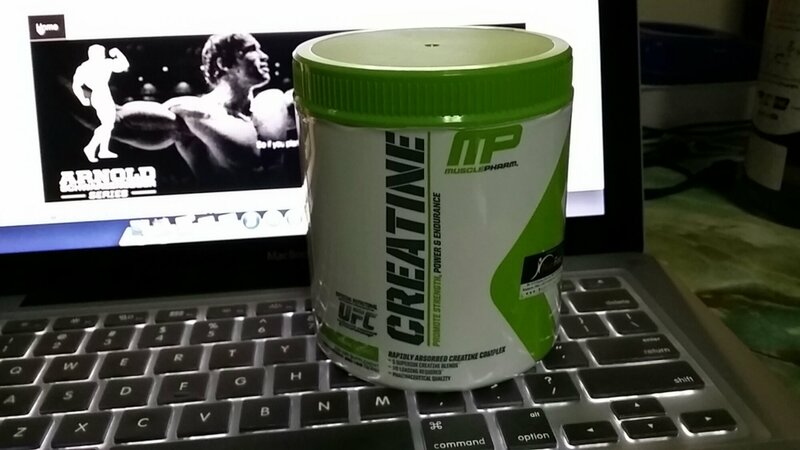 Creatine taken daily can help to increase strength and explosive power during training. It helps to replenish the ATP inside the body during your training. You will probably be able to lift more reps on the same weight after 1 week of creatine. No cycling is required for creatine, recommended 5 grams a day. 4. L-Carnitine is a fat transporter. It helps to transport more fats into mitochondria where most of the energy is produced. Especially Acetyl-Lcarnitine it can pass thru the blood brain barrier and this will help increase your focus during training as well. 1 to 2 grams is recommended. 5. Arginine helps to dilate the blood vessel so more blood can flow thru. This helps to transport more nutrient during training and it also gives you a better pumped. Commonly found in preworkout supplement, recommended about 2 to 3gram per serving. 7. Fast acting carbohydrate (waxy maize) immediately after training can help increase spike your insulin level, boost your testosterone and reduces your cortisol level in the body and therefore making your body very anabolic after training. 8. Beta-alanine help to increase the endurance during training. It gives most people a tingling sensation on the skin! This is mostly found in your pre workout supplement but if you want you can purchase it separately as well! 9. Vitamin C taken every day, especially after workout can help to reduce your cortisol level. This aids in better recovery and boost of your immune system! I take about 2 gram a day! 10. Fish Oil, taken daily helps with anti inflammation, depending on individual the fatter you are the more fish oil your body is able to take. For me i take about 3 to 5grams of fish oil a day. Author heechaiPosted on 23 June, 2014 21 June, 2014 Categories Article, SupplementTags arginine, bcaa, carnitine, creatine, fish oil, glutamine, how to take supplement, pre workout, supplement enhancement, supplement to take to perform better, vitamin c, what supplement to take, what supplement to take before trainingLeave a comment on 10 supplement you can take to perform better during training. 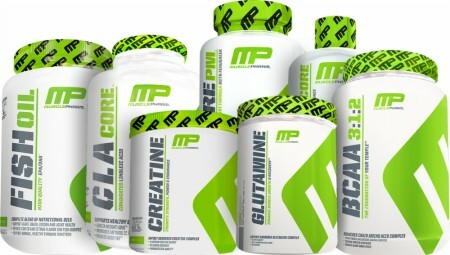 Latest news update from MusclePharm! They are working together with Arnold, the legend in bodybuilding to come out with a new series of products! These products will be mainly targeting the 4 fitness pillars, “performance, power, & strength, nutrient support and recovery”. Here are the 8 items they created – For full article. Iron Cre3 – a creatine product. Iron Dream – a sleep aid. Iron Pack – a multivitamin product that includes liver. Iron Whey – a 100% whey protein product. Iron Mass – a mixed protein, fats and carbohydrate formula. Arnold has always been someone I look up to, I read his book, watch his video. Learn from how he trains in the video. This is seriously is going be he next big thing! Arnold who is the most respected figure in bodybuilding put his name on the line, together with MusclePharm the athlete company who promises science and banned free substance on their entire product. This seems like the best combination to shock the whole supplement industry! So which is your favorite? I just ordered this awesome pre-workout online. Cant wait to get my hands on it! The main difference in this new version is their Athlete Performance Blend – ArgiNitrate, Bcaa Nitrate, CreNitrate which is said to be more effective. Nitrate dilates the blood vessels so it will enhance and blood flow and helps with the distribution of the nutrients. As you can see the chart i have gotten from ChromaDex shows a big difference between caffeine(bottom bar) and purenergy(top bar). As you can see caffeine started off with a higher amount of concentration but after the first hour the caffeine dips rapidly but purenergy is still on the rise. Purenergy peaks at the 2nd hour and starts to drop graudually. MusclePharm do it differently from other competitors, as you can see here they even added in the pillow pak to abouse humidity and odor. Awesome! Drinking the Assault – Taste. Great mixability, i prefer the taste of this version of Assault compared to the previous version. In my opinion i can feel that the effect of this preworkout kicks in faster than the usual one that i took. It doesn’t gives me the sudden spike in energy, i can feel focus thru out my workout. Minimum crash afterworkout as well, but some how i feel that it suppresses my appetite as i feel full after a meal (which dont normally happen). Took the product about 6 hours before bed time and i have no problem sleeping. Overall i think that this is a new breakthrough for preworkout in the industry and it is worth a try.